WILPF Humboldt – The Humboldt California branch of Women's International League for Peace and Freedom. 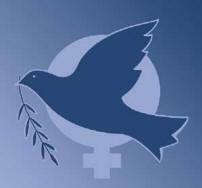 The Humboldt California branch of Women's International League for Peace and Freedom. We are the Humboldt County, California, branch of the US section of Women’s International League for Peace and Freedom, women and men working for peace worldwide since 1915. Our local branch started in 2002. The international office is located in Geneva, Switzerland, has UN consultative status, and is represented by sections in 30 + countries. Our mission is to promote peace and justice. We sponsor and participate in various local peace-related activities. We give out a yearly scholarship/grant in memory of Edilith Eckart, which helps a local person or organization complete a peace related project. We organize an International Women’s Day celebration on March 8th, and we hold a used book sale in Arcata on July 4th to raise funds to buy children’s books for local schools and libraries. Lastly, we have a yearly raffling off of a lovely quilt to raise funds for the scholarship. We’re currently selling tickets for this year’s quilt, which will be raffled off at our March 8th event. We meet one Sunday afternoon a month, with the exact dates depending on people’s schedules. Email us at WILPF at humboldt1.com to find our current meeting date, or to get on our listserve.